Registered nurse certification in South Carolina enhances the knowledge and skills of the nurses, leading them towards success in their profession. The certification in the state is issued by the Department of Labor, Licensing and Regulation, which aims at promoting and safeguarding the health and economic well-being of the residents, by providing licensing, program and education, regulation, and enforcement. Being a member of NLC (Nurse Licensure Compact), a registered nurse who is licensed in a compact state is allowed to continue their nursing practice in another compact state, even when they do not have an RN license in the other state. The nurse is required to apply for RN licensure in that state, if he/she moves to another state and establishes residency there. The following states are considered as a compact state: Arkansas, Arizona, Colorado, Idaho, Iowa, Kentucky, Maryland, Maine, Mississippi, Missouri, New Hampshire, Nebraska, New Mexico, North Carolina, North Dakota, Rhode Island, South Dakota, South Carolina, Tennessee, Texas, Utah, Virginia, and Wisconsin. Note: You are not eligible for RN licensure in the state, if your primary state of residence is any other Compact State. Driver’s license as a proof of your home address. Voter registration card thereof indicating your home address. Federal income tax return which must declare your primary state of residence. Military Form # 2058 which is a legal residence certificate of the state. W2 from any bureau or US Government, agency or division indicating the declared state of residence. Provide photocopy of your valid passport or birth certificate.Note: Do not provide copy of hospital birth certificate, as the Board will not accept it. Submit a photocopy of your permanent resident card, social security card, or a resident alien ID card, previously assigned to every alien resident who does not have a SSN (social security number). Provide a recent 2″ x 2″ full face, passport-size photo including the date and your signature. Provide copy of legal documents verifying your name or address change (if applicable). Submit the appropriate examination processing fee of $90. If you have completed your graduation from a South Carolina Nursing School, you are required to provide the completion date indicating the completion of your course work. To obtain this, you may request the Dean or Director of the Nursing Program. Nursing courses that fulfil the degree requirements. Type and date of degree awarded. School seal and registrar’s signature. Each nursing course accepted for transfer credit must meet the requirements for the nursing degree. If it does not provide transfer credit, you are required to request for an official transcript from each nursing school where the course credit relating to nursing was earned. Credential Evaluation Service report by requesting it from CGFNS (Commission on Graduates of Foreign Nursing Schools) using this link – http://www.cgfns.org/You must also request for a Credential Evaluation Service Professional Report description of your nursing program. These requirements are same as mentioned above. (Refer points I to VI of “Requirements of RN license by examination” section). Submit photocopy of your nursing license issued in another jurisdiction or state, in this territory or country or dependency of the U.S. Submit evidence of successful completion of continued competency requirements. Provide verification of your licensure from your original state board of licensure. You may use this link – www.nursys.com, if your original state of licensure is listed on the Nursys website, else provide the verification form attached in the endorsement application to your state board of licensure for completion of the verification process. Temporary License – You may apply for a temporary license, if you provide evidence of successful completion of continued competency requirements. You are not eligible to obtain a temporary license, if you have completed your education outside the U.S. and have not passed the licensure exam, NCLEX-RN. St. Paul, Minnesota- 55164-0950.Note : Don’t forget to include the SSN (social security number). After approving your documents, the Board will notify the Pearson VUE, making you eligible for the test. Upon receiving the notification, the Pearson VUE will send you an ATT (Authorization to Test) via email or on the address mentioned by you during the registration process. Once you receive the ATT, schedule and take the exam as soon as possible by contacting the testing agency. 30 contact hours of continuing education from a continuing education provider recognized by the board. Maintenance of certification or re-certification by a national certifying body, which must be recognized by the board. Successfully completed an academic program in nursing or any other related field recognized by the board. Completion of 30 contact hours evidenced from a continuing education provider approved by the board and successful completion of a course in legal aspects recognized by the board. Successful completion of a refresher course recognized by the state board. The other documents are same as mentioned above in points II-IV of Renewal of RN License continued competency requirements. Successful completion of a board approved refresher course. 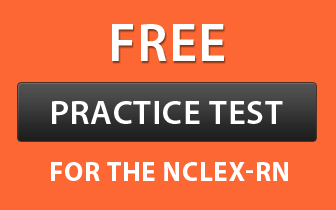 Successful completion of the NCLEX-RN exam suitable to the area of licensure. By mail – Download and complete the reinstatement application using this link – http://www.llr.state.sc.us/POL/Nursing/pdf/ReactivationApp.pdfNote: Carefully read the mentioned instructions on the form. Nurse License Verification – https://www.nursys.com/NLV/NLVTerms.aspx This link provides online verification to all the nurses who wish to practice in any other jurisdiction. After the completion of online process and payment of the applicable fee, you may verify immediately to the jurisdiction(s) in which you had applied previously. To verify the license(s), you need to be from a participating board of nursing. Licensure Quick Confirm – https://www.nursys.com/LQC/LQCTerms.aspx The above link provides online license reports to the general public as well as the employers. To receive a licensure report, you must be from a Licensure Quick Confirm board of nursing. Manage a Nurse List with e-Notify – https://www.nursys.com/EN/ENDefault.aspx If you are a nurse employer and want to automatically receive license status updates and publicly available discipline notifications from the board of nursing, you may use the above link. You are not required to pay any amount and must not continue your nursing practice in the state while your license is on inactive status. To re-start your nursing practice, you need to submit the reinstatement application with the required fee for the current period and demonstrate continue competency requirements. All applicants who failed to pass the NCLEX-RN exam on the first attempt may retake the licensure examination, in every 45 days for up to a period of 1 year from the date he/she took the first attempt. If the applicant does not pass within 1 year duration, he/she must provide proof satisfactory to the board of remediation which needs to be approved by the board before re-examination. If the applicant does not pass within a time period of 3 years of graduation, he/she is required to re-qualify, in order to take the exam by enrolling in a board approved nursing education program and must demonstrate the skills, knowledge, and ability of a graduate nurse. Enclose an appropriate fee of $65 made payable to the South Carolina Board of Nursing. Submit a photocopy of all the Diagnostic Profiles (if you took the test in another state) from all the previously taken exams and also complete the repeater’s application.